Assistant Principal Rob Schliessman noted that this work is part of a broader effort at CLE. “The mindfulness experiences that Coach O’Rourke is bringing to classrooms supports the social, emotional, mental and physical health that all students and adults need to be successful in their everyday lives. 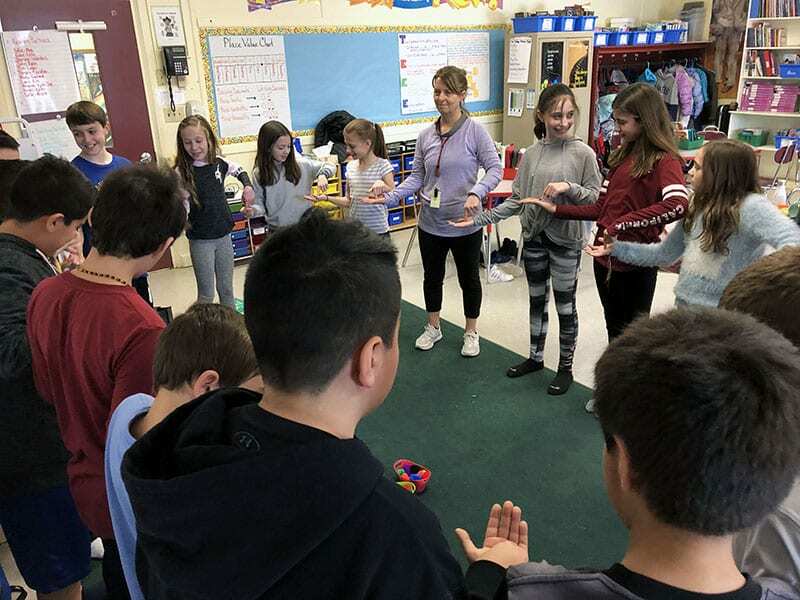 Sue has visited almost every classroom at CLE to share mindfulness games and activities that the students can try at home and that teachers can continue to use in their classrooms. Ask your child to share with you at home. This work continues to support the Social Emotional Learning that we teach at Cottage Lane,” he explained.